Once upon a time in a land far away, a tiny baby boy was born in an animal stall. From such a humble beginning came our Lord and Savior, Jesus. 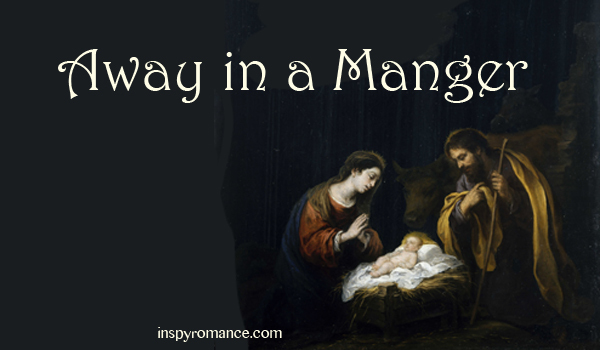 The imagery in the carol Away in a Manger resonates with people of all ages. Children especially identify with a little baby, too poor to have a crib to sleep in. They feel the thrill and silent energy of a starlit night and are comforted to know that the little Lord Jesus now watches over them in blessing. When Angela and I began working on the two romantic stories that would become Snowflake Tiara, we knew children would play a central part. We quickly discovered that Away in a Manger had first been published in 1884 and was so loved that the lyrics quickly spread. It seemed reasonable that people in Montana in 1889 (the year of Angela’s story, The Debutante Queen) may well have heard of it. Angie wove this carol into the story of how Calista hid a 6-year-old girl, an indentured servant to a brothel, and taught her the story of baby Jesus. In More Than a Tiara, my character Marisa comes across the sheet music her triple-great-grandmother Calista had used in the 1889 Miss Snowflake Pageant. Marisa, too, is challenged to do her part in blessing all the dear children in Jesus’ tender care. Thanks for a great post, as always, Val. 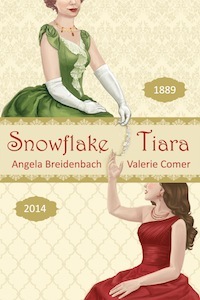 Loved Snowflake Tiara, and I agree that it can be read at any time of the year. Enjoy a joyous Christmas with your family, my friend! Blessings. Thanks, JoAnn! And a blessed Christmas to you and your family, too.